1. BBQ'd and not battered and fried. 2. The spicy sauce is awesome and not some sugared down nasty stuff that tastes like McDonald's Sweet and Sour sauce. 4. 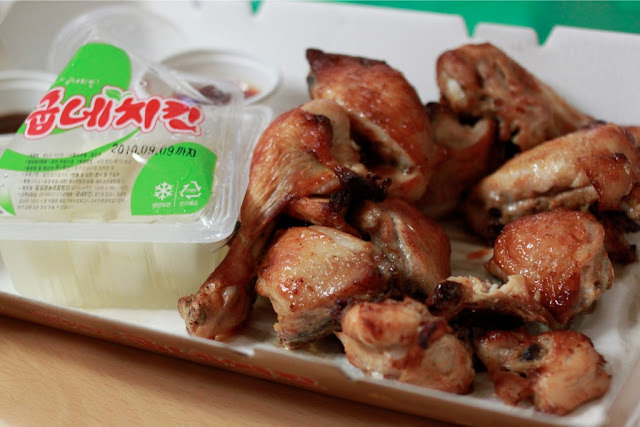 Girl's Generation does the commercials and you get a poster from one of the lovely's when you order the chicken. 5. They deliver to my house. 6. It's not expensive (14,000).